Our PNIF meter can be used to quickly assess the patency of the nose. 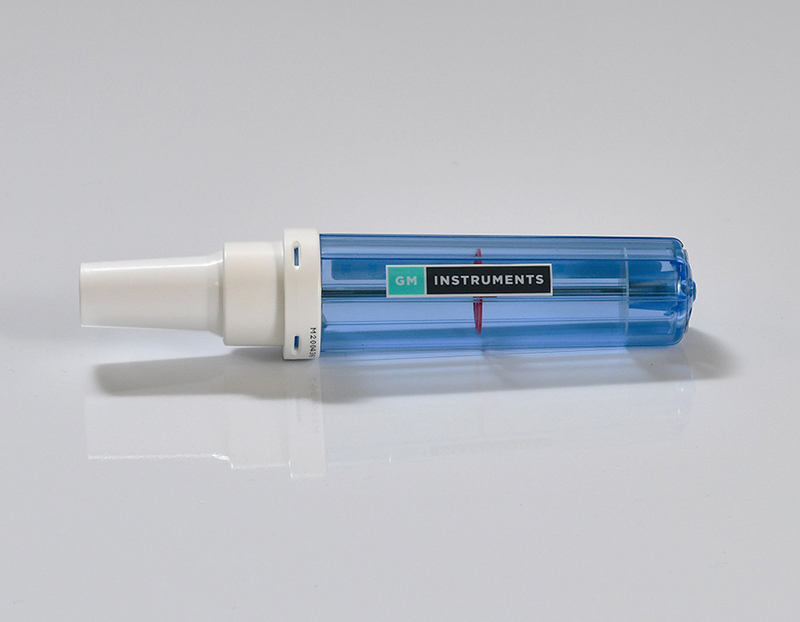 The GM Instruments Peak Nasal Inspiratory Flow Meter is a lightweight, compact and simple way to inspect the patency of a patients nose. 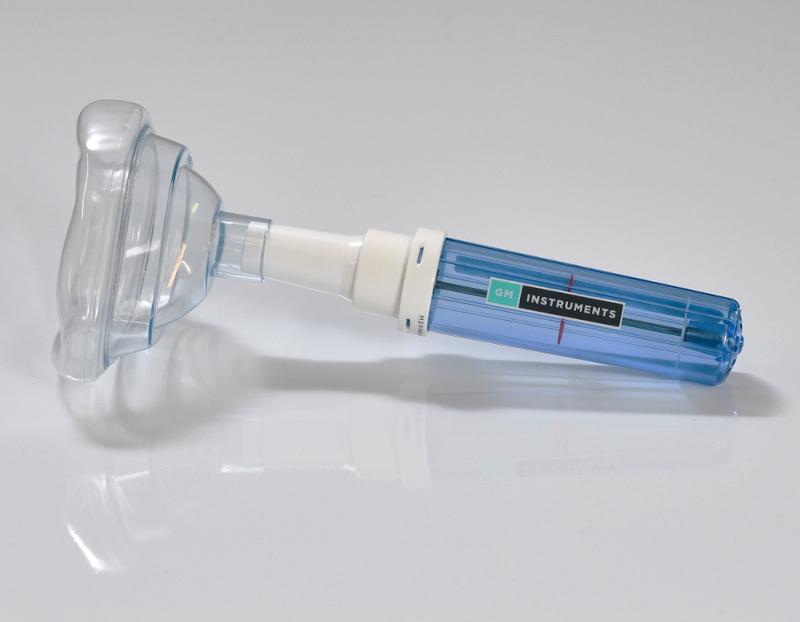 Our own brand Peak Nasal Inspiratory Flow Meter can be used to quickly assess the patency of a patients nose. It is used along with either a disposable or reusable mask, both of which are available in either in a range of sizes (See Options Tab). 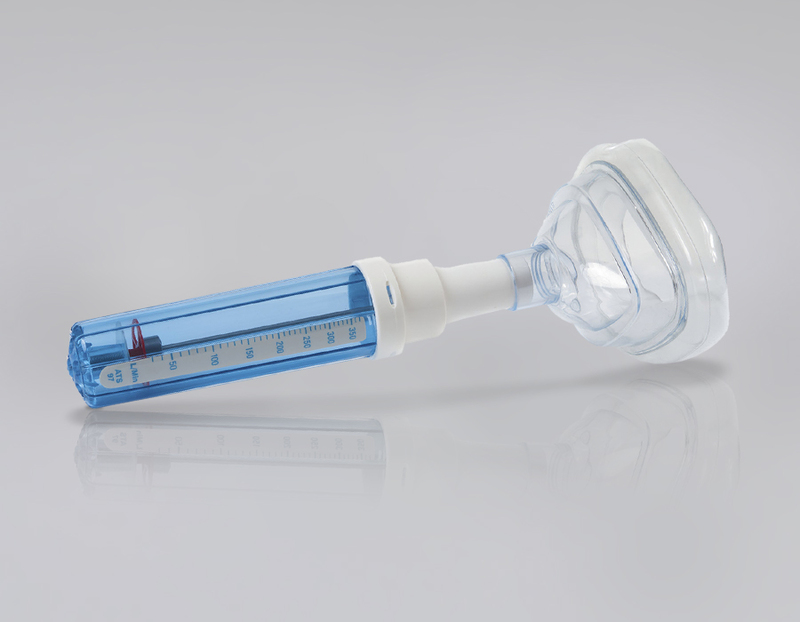 A medium disposable mask is included with the unit when delivered. 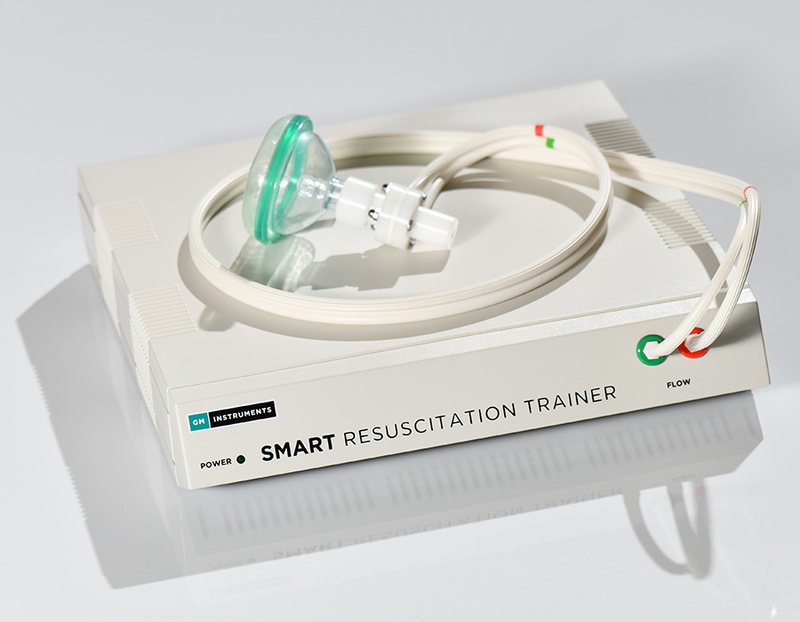 It uses a variable diameter tube calibrated directly in litres per minute (Lpm), along with a low inertia indicator ring, whose position after an inspiratory manoeuvre clearly indicates the maximum flow achieved. Units can be ordered on a one off basis or in larger quantities, when discounted prices will apply. Plus/Minus 10% of reading or 10 L/min flow (whichever is the greater), with repeatability of plus/minus 5%. We have a large list of distributors for our products, based in a number of countries around the world. Why not find your nearest distributor. We offer service and calibration solutions, both on-site and return to base options. In addition, we offer test & calibration services for products from other manufacturers.